DORSAL PLATE WITH MODULAR PLANTARFIX™ POST. 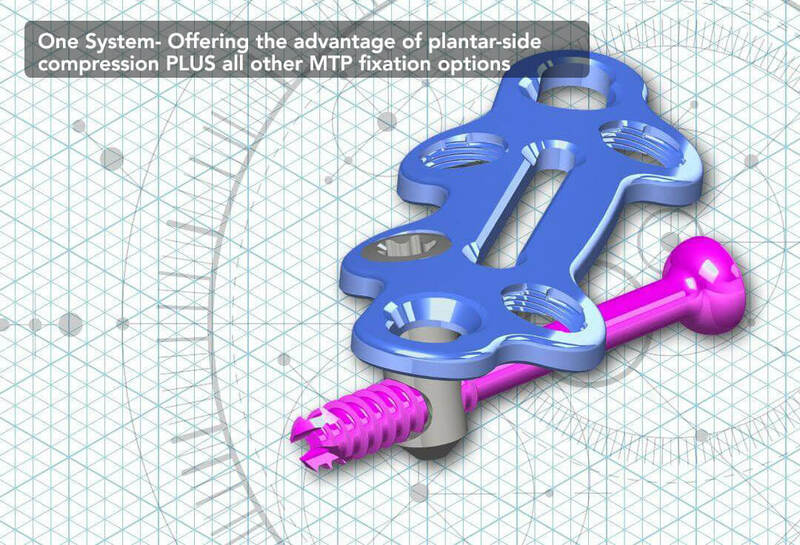 Compression is key in successful fusion procedures, and the unique lag screw/PlantarFiX post interface delivers and maintains better lag screw purchase—delivering consistent plantar side compression. Performs even in patients with poor bone quality.